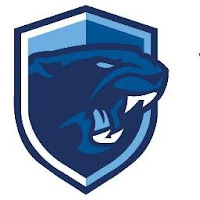 Franklin Matters: FHS' Shea among HockomockSports.com's "Softball: Ten Players to Watch for 2019"
FHS' Shea among HockomockSports.com's "Softball: Ten Players to Watch for 2019"
HockomockSports.com has published their "Softball: Ten Players to Watch for 2019" which features one player from FHS. "Franklin senior Ally Shea has been a consistent presence in the Panthers lineup since jumping in midway through her freshman season. The lefty batted .344 last season, which was down slightly from an even more prolific sophomore campaign, and finished with 22 hits. Shea has the power to find the gaps and rack up extra bases and defies expectations by being a hitter that likes to take the ball the other way. She loves to hit it through the hole between second and short and use the gap in left-center. The key for the Panthers will be getting more players on base ahead of her to get her up in more run-producing situations and with a strong core returning Franklin will see an opportunity for a return to the playoffs this spring. Shea is also a versatile player who can play catcher, first base and a little outfield when called upon, which makes her a mainstay in the Franklin lineup and allows flexibility for changes as the game goes along."